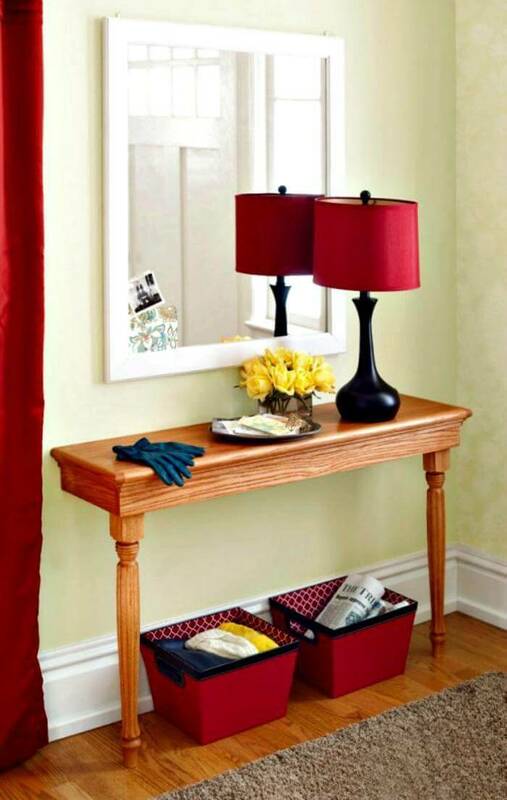 Along being the glam and decor focus, the entryway tables perform many functional duties in your entrance holding and housing a bunch of your needy stuff in and on it. 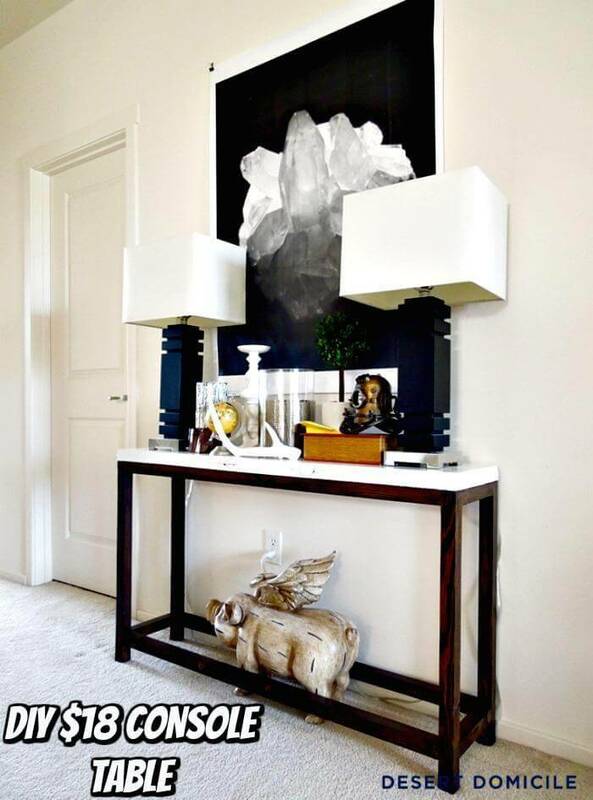 A large variety of the style and designs captivates us whenever we are searching for the perfect kind of entryway table on famous furniture brands. 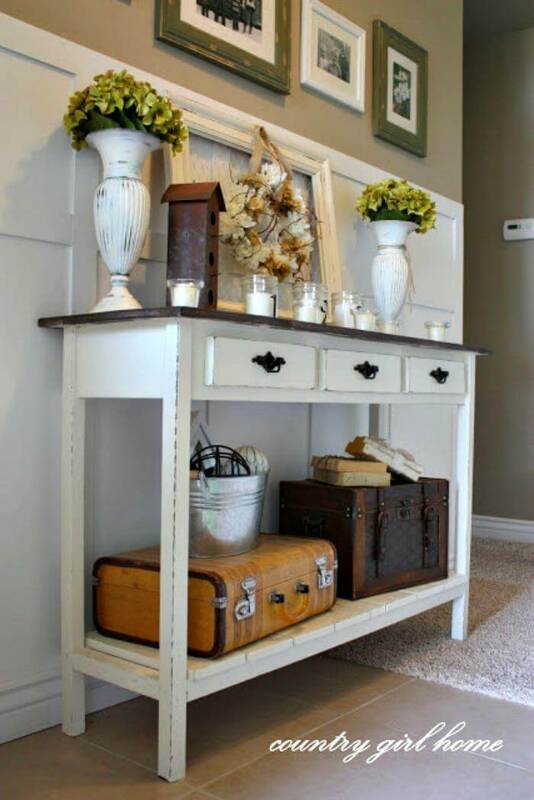 And their heavy price tags just make us imagine the impossibility to bring a gorgeous and stylish entryway table in our places. 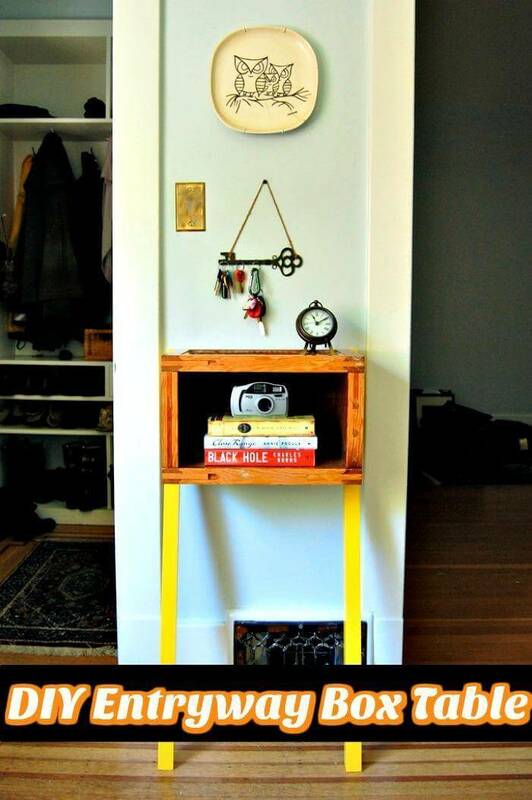 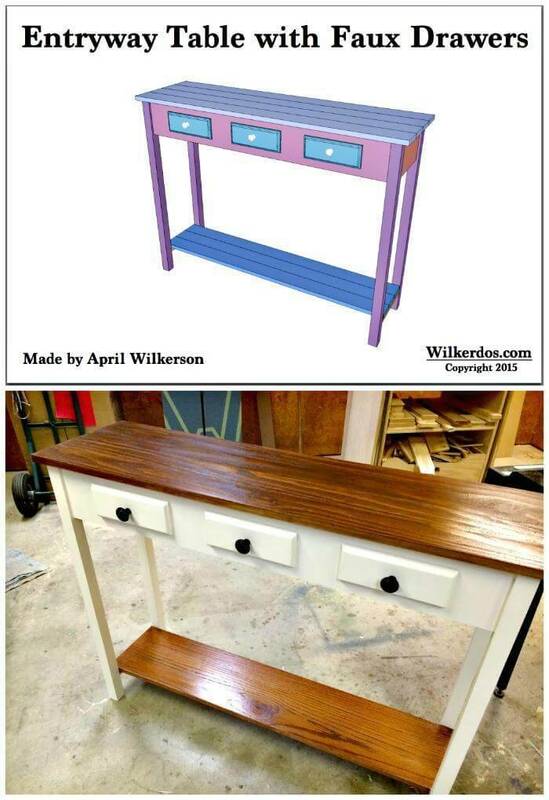 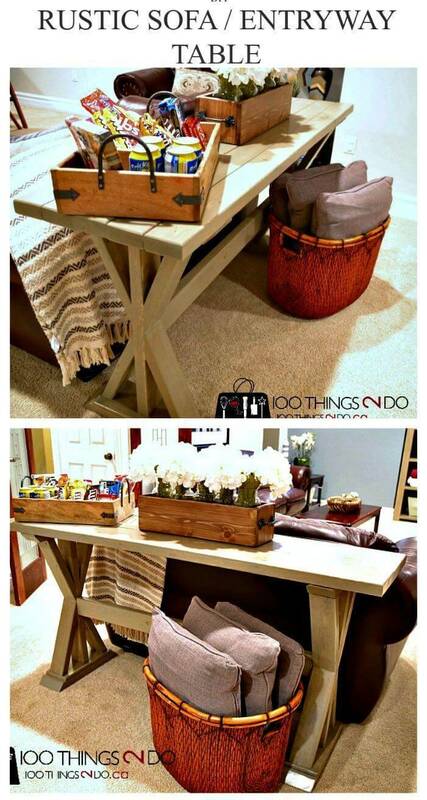 But how about making super fun and functional entryway table of your own using any waste wood lying near you? 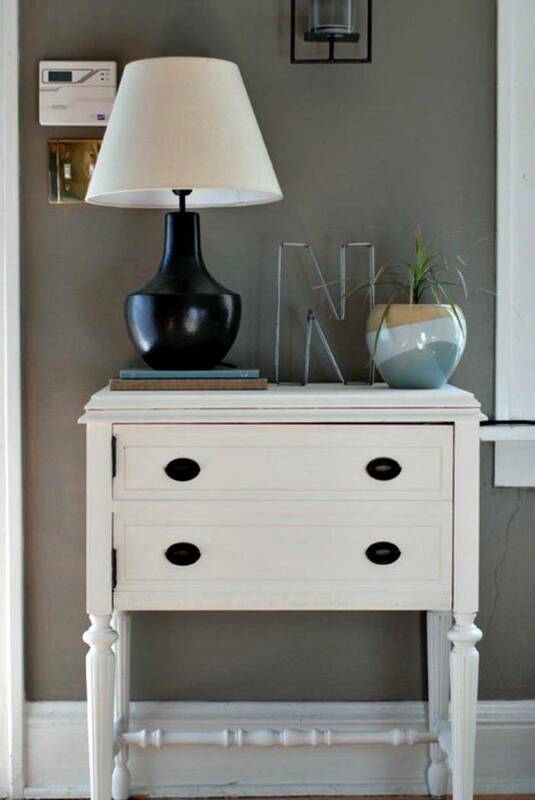 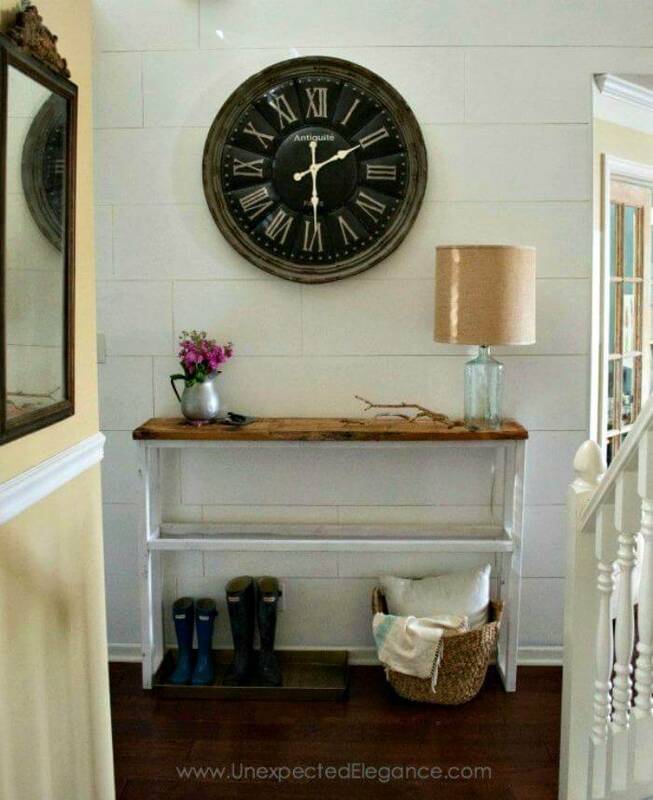 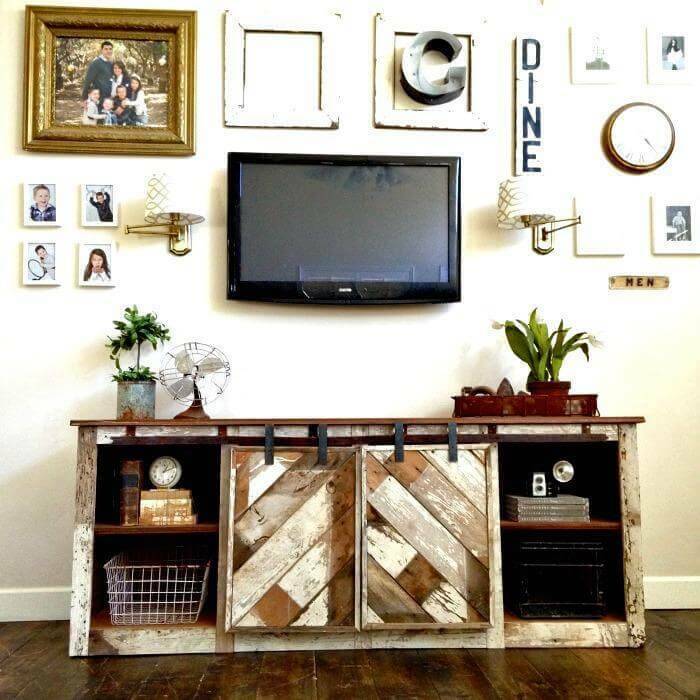 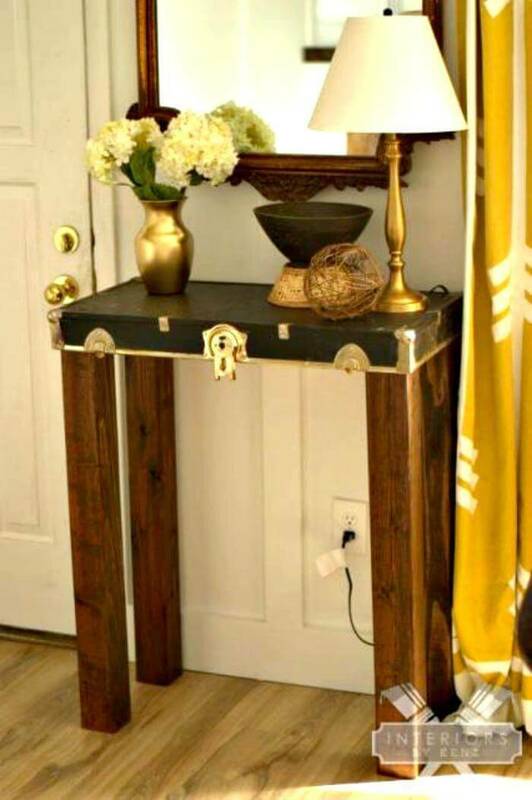 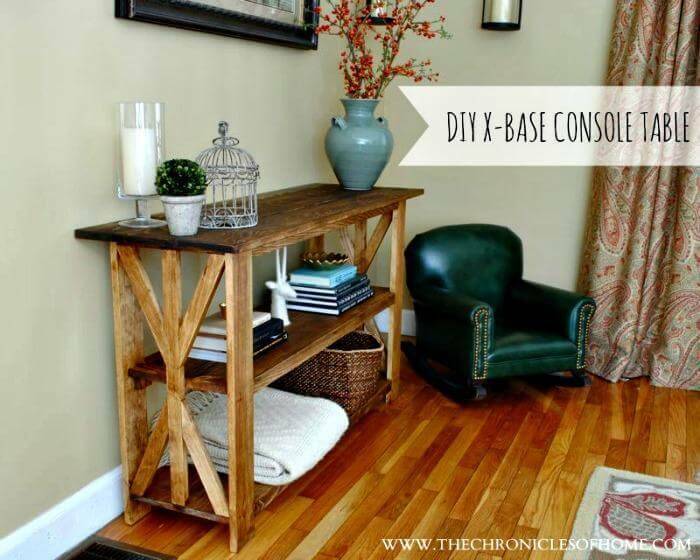 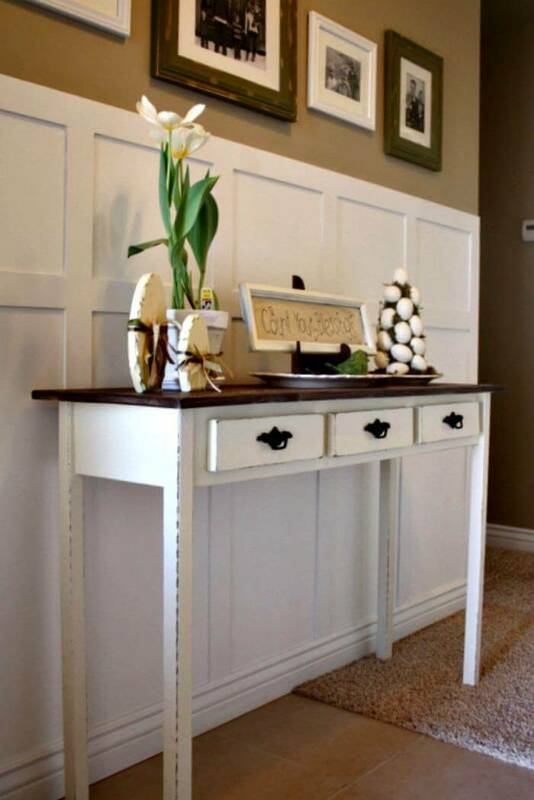 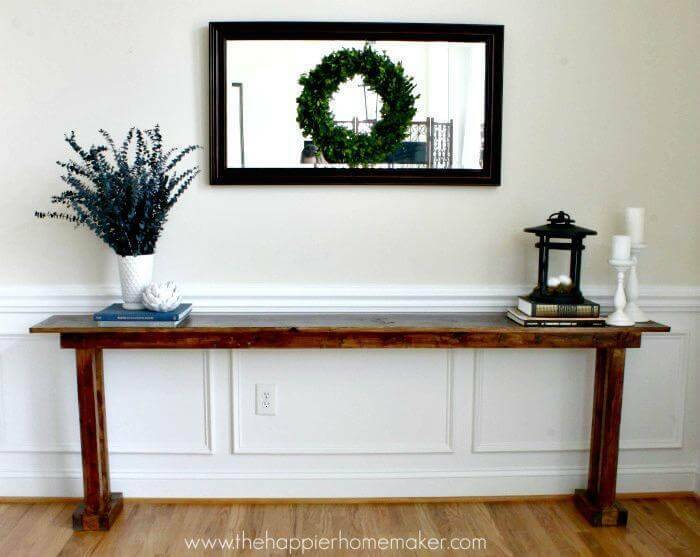 To incite in you the crafty passion we have brought these 25 best DIY entryway table ideas here which are amazingly gorgeous, immensely cheap and totally feasible to do yourself! 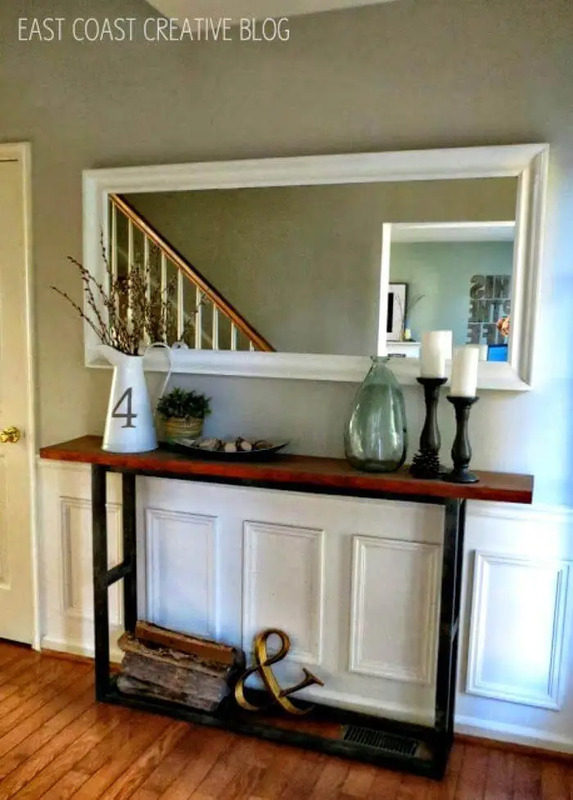 Either you want to warm up your front section with a rustic piece or bring those vintage vibes back in the decor you would surely find a relative entryway table from the following round up. 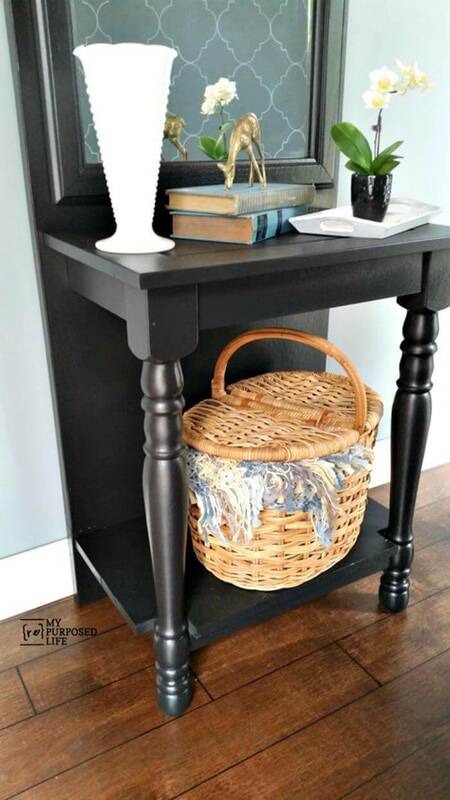 Those who adore the chic and modern styled DIY furniture and those who are happy with the shabby chic possessions would also fall in love with our entryway table collection. 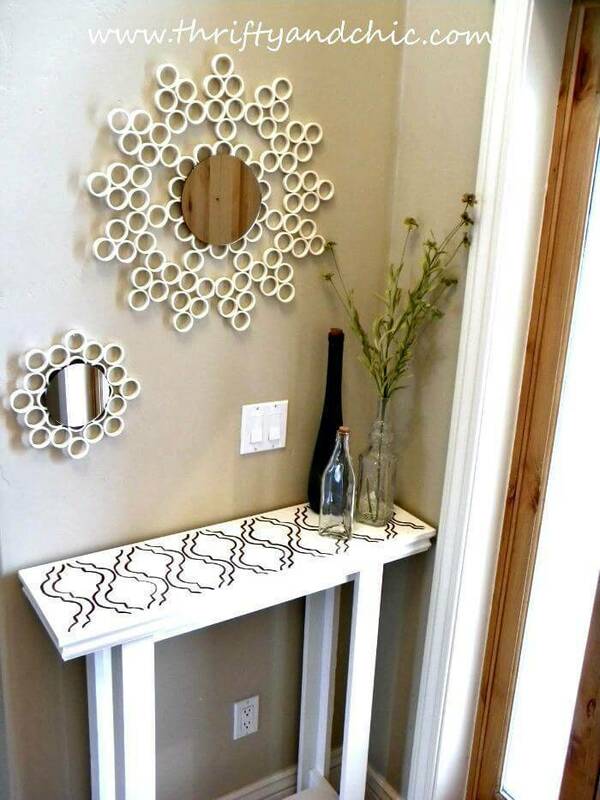 In short for all types of decor there is a sample below with extremely feasible structure to follow yourself at home. 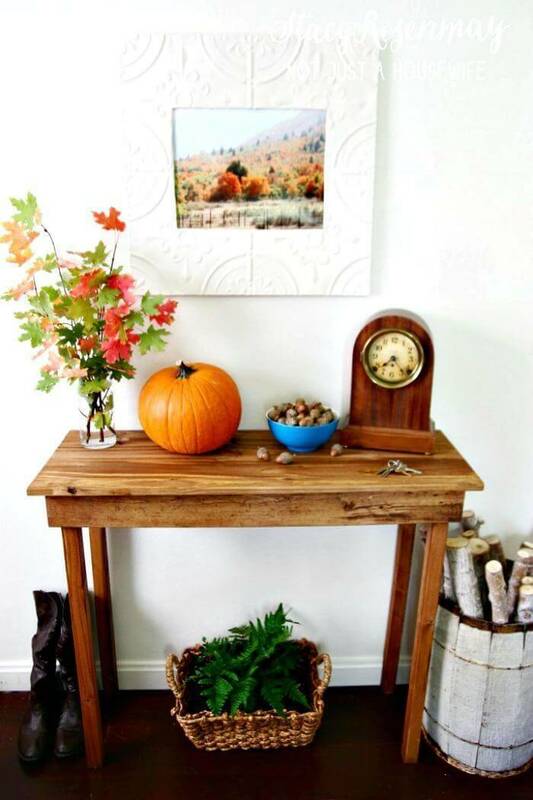 All you need to do is just gather some recycled, salvaged or dead wood around and get along these ideas gearing up with your tool kit! 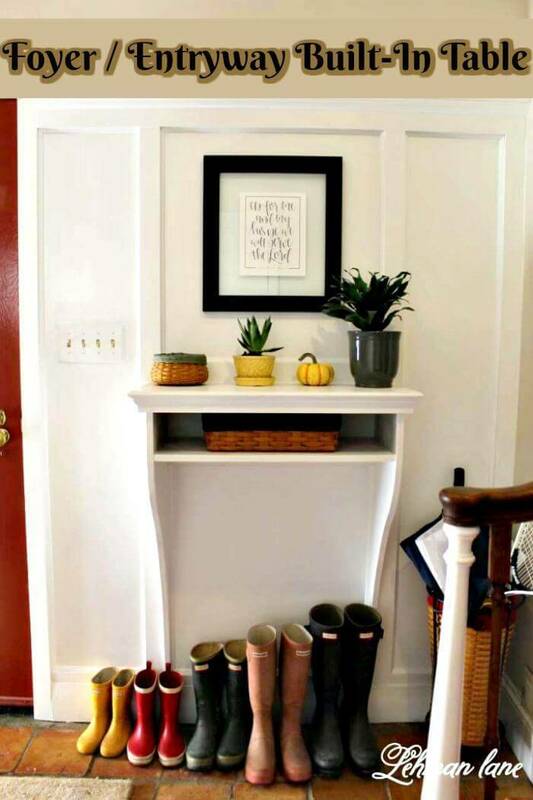 You can opt for any style, design and size while working on any one of these DIY entryway table projects so that the finished project is a customized piece to suit your entrance or hallways. 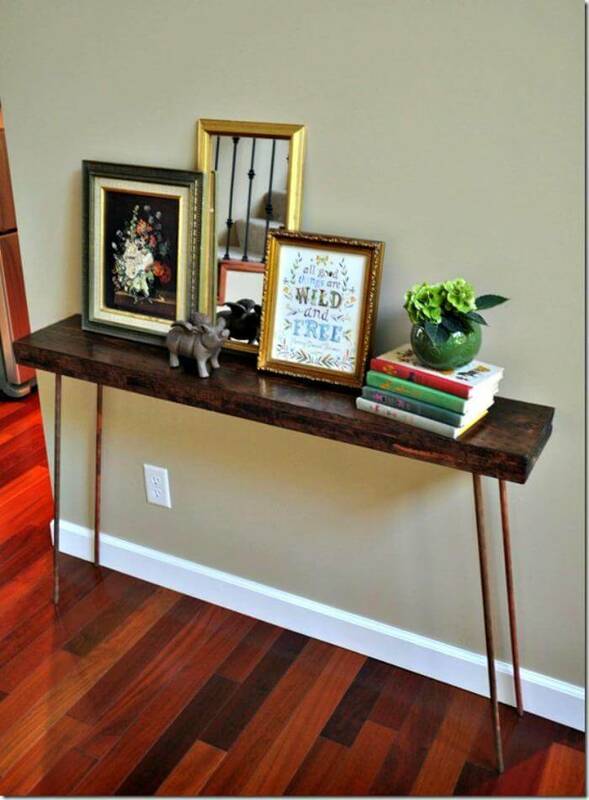 Slim and sleek designs are facile to adopt especially when you are facing the short space problem in your house. 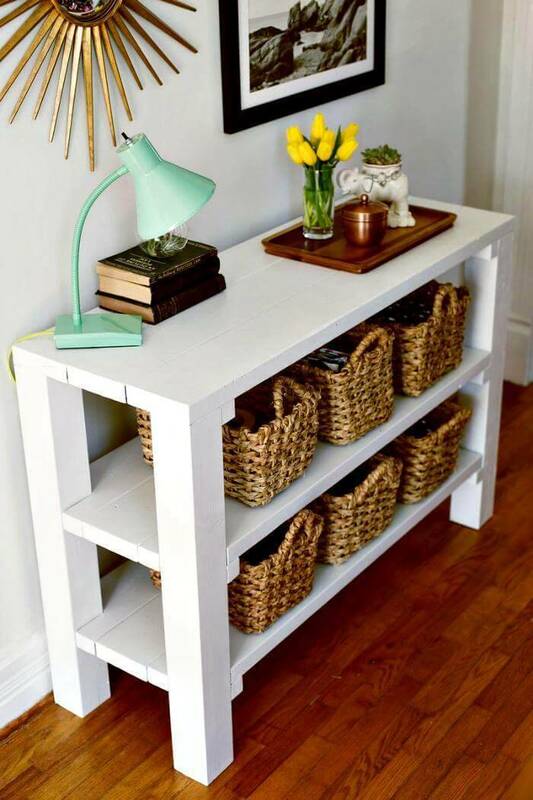 Build in shelves, drawers and storage cubbies are the further functional possibilities to create in your desired diy table when you are in need to get your stuff organized and displayed. 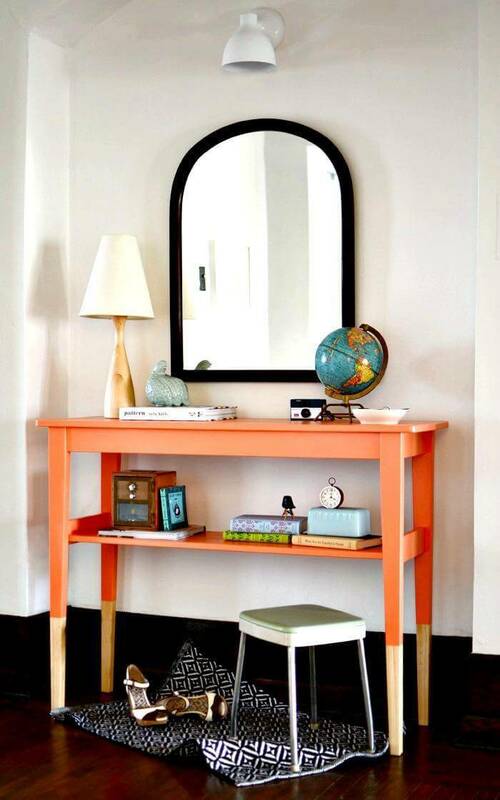 So is the case with the hues that you can choose according to your personal inclination letting the table merge well with the decor and reflect the complimentary style statements. 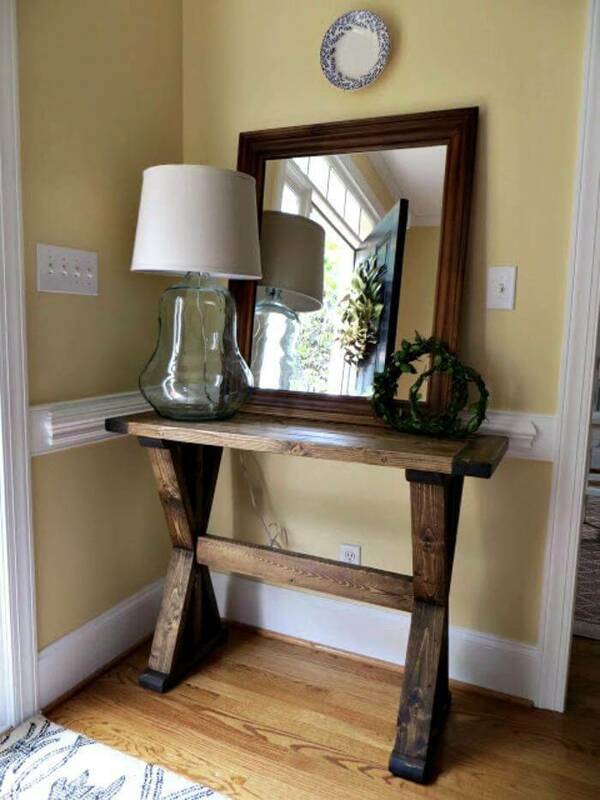 Every project has the detailed pictorial and video tutorial links with every inch detail of the measurements, angels, and structure so that your table turns out effortlessly!